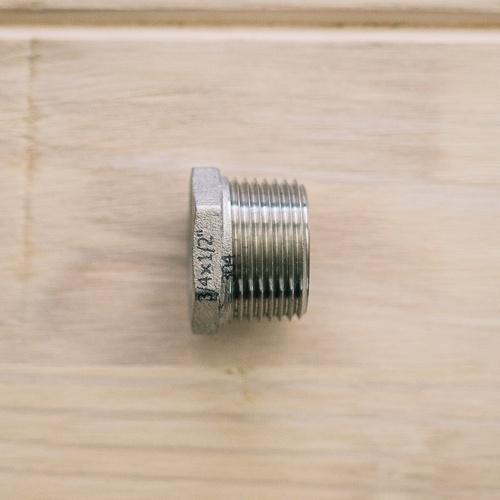 This bushing from Ss Brewtech fits in with a 3/4" MPT and shrinks it to a more common 1/2" FPT. Great for your Chronical 3/4" dump valve. Made from 304 stainless steel. Ss BrewTech Chronical Fermenter - 14 gal.